Kiddush luncheon follows services at approx. 11:45am. 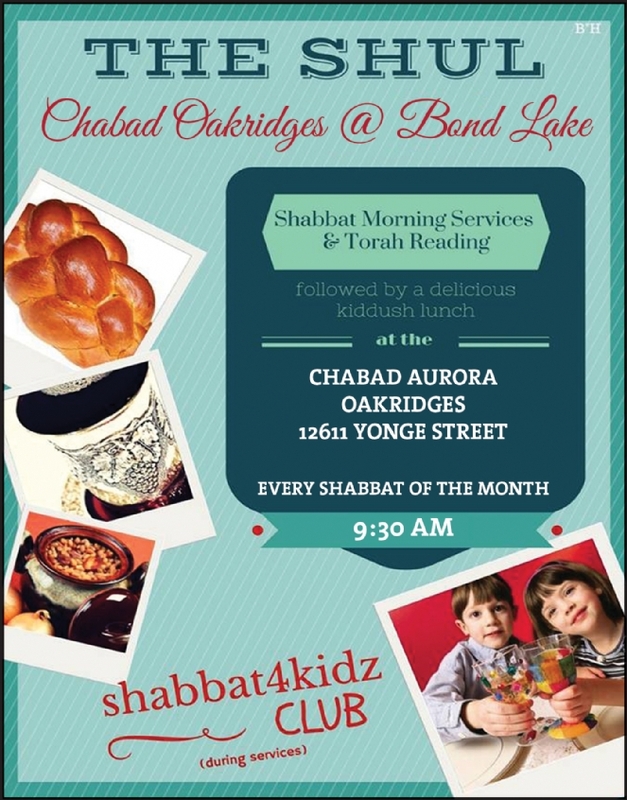 All Shabbat Services are held at Chabad Lubavitch of Aurora, 12611 Yonge Street, Richmond Hill, ON L4E 1A4.